Season Six Game of Thrones spoilers! Next month we return to the land of Westeros for the sixth season of Game of Thrones and we couldn’t be more excited to find out what’s in store for our favourite characters. 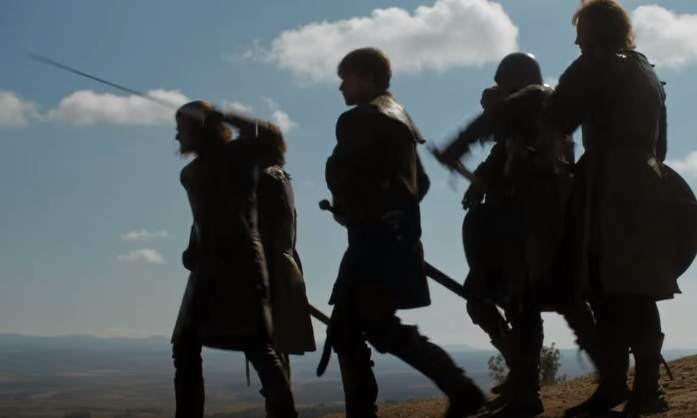 Thankfully the good people over at HBO recently released the trailer so to sate the craving we’ve got for some regicidal action we’ve put a team of expert maesters on the job of deciphering the trailer mysteries and secrets. Here’s our best insights, opinions and theories, be warned spoilers ahead…obviously. 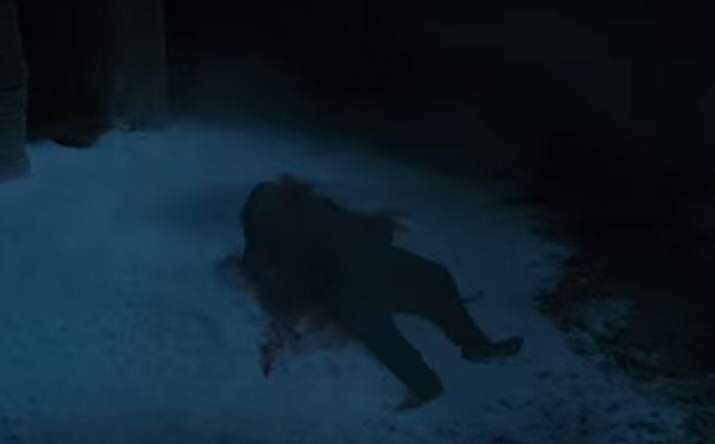 Despite the rumours of his survival the 998th Lord Commander of the Night’s Watch seems to have passed away, the pool of bloods a huge hint. 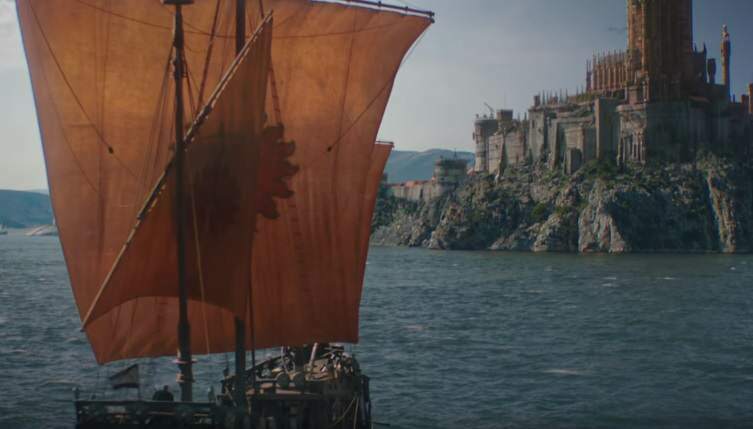 It’s looking likely that this boat’s Jaime returning to King’s Landing with the body of his dead daughter Myrcella. We imagine all hell will break out when Cersei finds out what happened to her only daughter. Seems the Lannisters are trying to take back everything they’ve lost over the last few season and hints at dark times ahead for those who’ve earnt the lions fury. 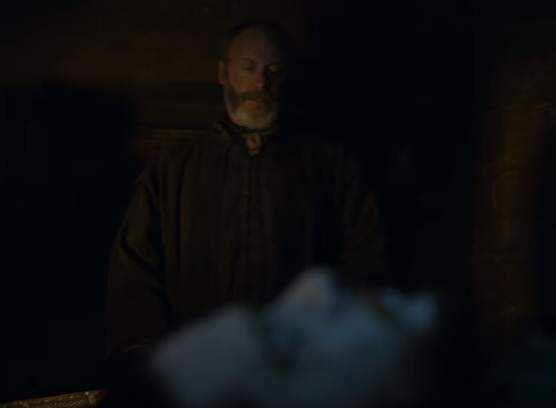 We’re willing to bet this is Ser Davos paying his respects to the poor Princess Shireen who was pointlessly sacrificed to ensure Stannis’s win over House Bolton. 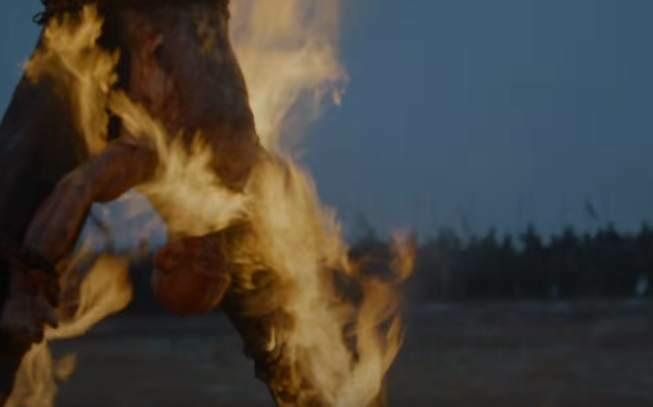 With Stannis dead where will the loyal Onion Knight go now? 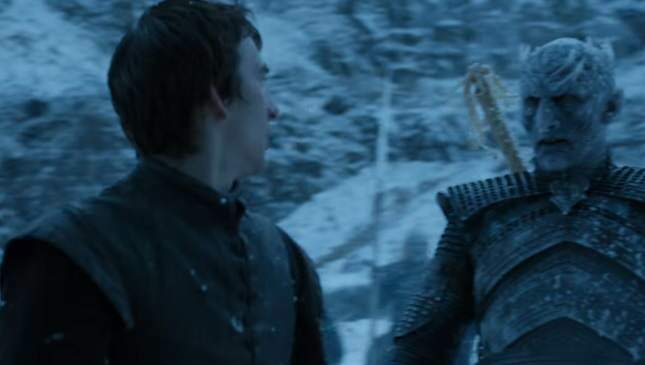 After Roose admitted that there’s another, perhaps more legitimate, Bolton baby on the way could Ramsay be planning an untimely end for his dear old dad? After Stannis’ army was crushed things look bleak for The North and the Bolton’s reign of terror looks to have gotten far worse. 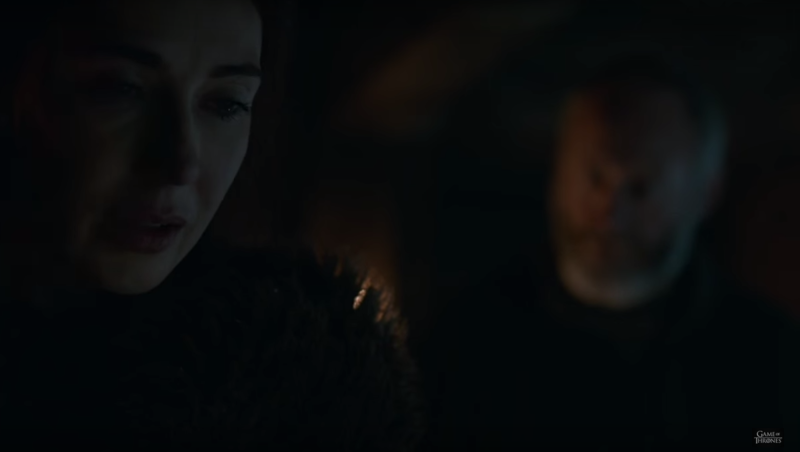 Melisandre seems to have lost her unshakeable faith in the Lord of Light and why isn’t Ser Davos slitting the witches throat for what she did to Shireen. Could he need her for something more important than revenge? Like resurrecting someone? 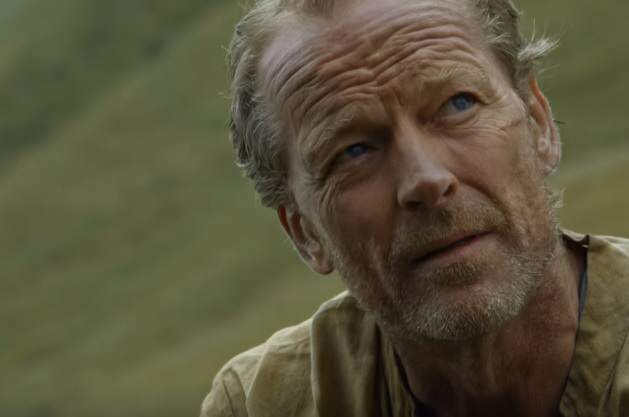 Jorah and Daario are hot on the heels of Daenerys after her dramatic exit from Meereen he’ll also be dealing with the effects of the crippling greyscale disease. 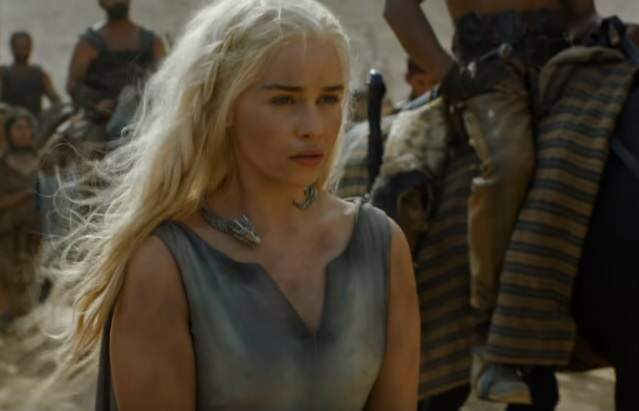 Times are tough for Daenerys who, judging by her lack of horse, appears to be a prisoner of a khalasar. If only she had dragons to rescue her. 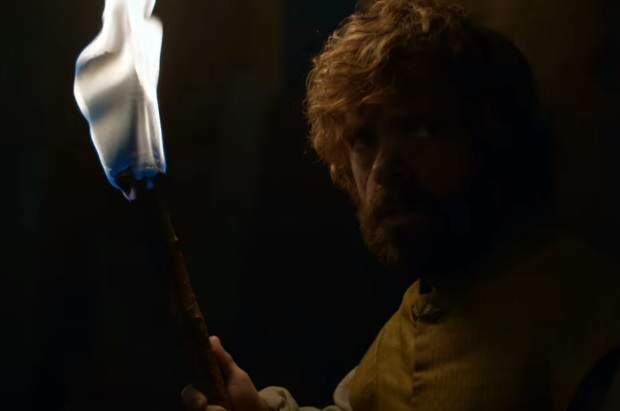 It seems Tyrion may be paying the dragons a visit in their underground prison. Could the fan theory that he’s destined to ride one of the beasts be about to come true? 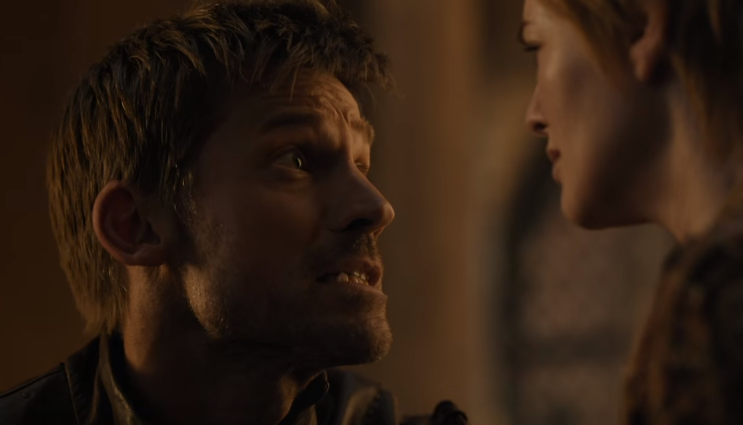 It seems that the Lannisters are desperate enough to unleash their secret undead weapon to keep themselves in power and crush the Faith Militant. That couldn’t be a young Ned Stark on the left could it? 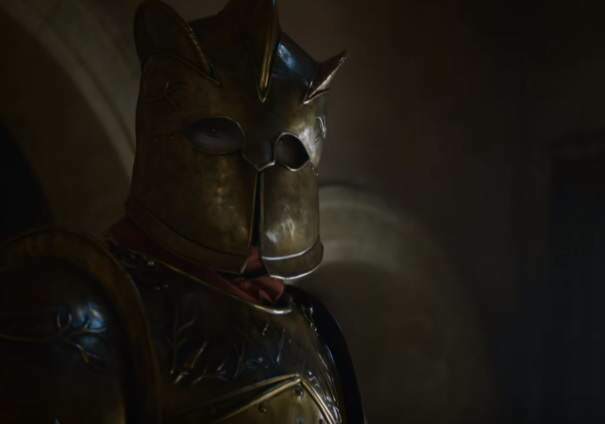 Other clips in the trailer show soldiers wearing the seal of the Targaryens, could we about to see how Roberts rebellion happened? 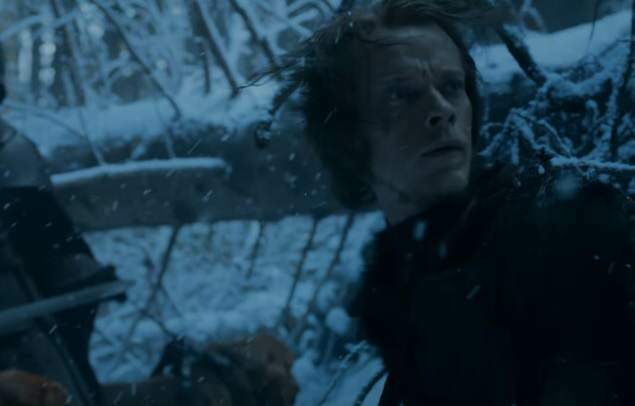 After finally reasserting his identity and helping Sansa to escape the clutches of Ramsay it looks like Theon’s not in for an easy season. Lets hope he at least manages to stay out of the Bolton’s hands for an episode or two. 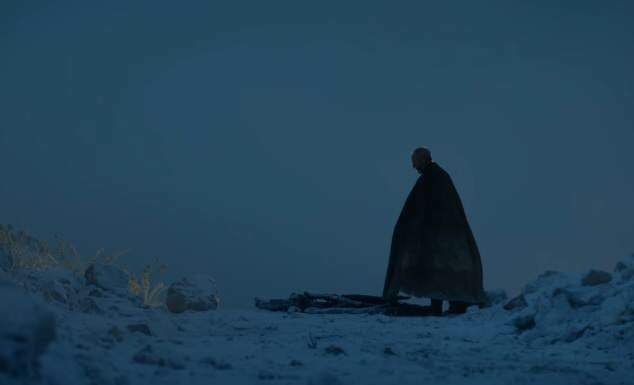 As Bran’s walking in this scene were guessing it’s a vision but the looming threat of the Night’s King seems to be something that the people of Westeros can no longer ignore. As we know the Night’s Watch burn their dead. 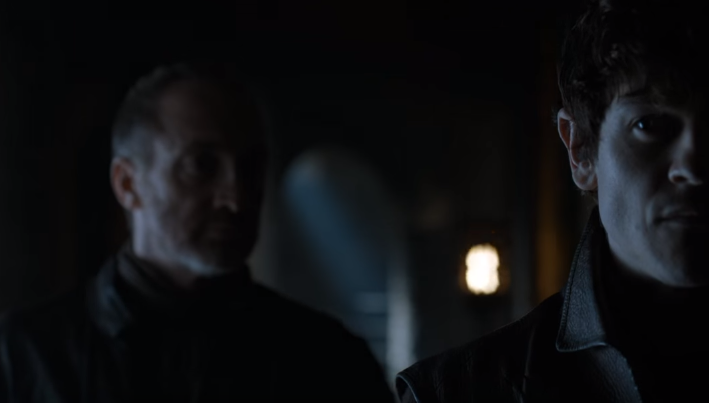 Is Ser Davos about to fight and die over Jon’s corpse? Somebody must have big plans for Jon Snow. That was cathartic, of course it doesn’t really answer anything at the same time, at least all will be revealed next month.